Situated in a quiet, peaceful location close to Whitstable High Street, Whitstable Osteopathic Practice is run by Alan Webb, who started practising in the area in 1994. He has since been joined by osteopath Gemma Dawson, as well as a number of other healthcare professionals. The Practice is fully registered with the appropriate insurers, each practitioner is fully licensed in his or her field and disabled access is readily available. 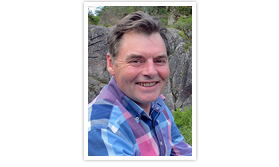 Alan is the Principal of the Whitstable Osteopathic Practice. He is a Registered Osteopath and graduated from the European School of Osteopathy. Although Alan treats patients of all ages, he has a special interest in the treatment of babies, children and their mothers. Alan has worked at the Osteopathic Centre for Children in London, and has a practice at Lydd on the south coast of Kent. He is a founding member of the Canterbury Osteopathic Group and is associated with the Sutherland Cranial College. 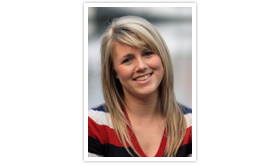 Gemma is also a graduate of the European School of Osteopathy and has been with the practice since 2008. She uses a broad range of techniques and has a special interest in Cranial Osteopathy. Gemma also has a practice at Loose near Maidstone, which she runs jointly with her husband and colleague Emmanuel Merot. Martin graduated from The European School of Osteopathy with a Masters of Osteopathy. Martin uses an integrative approach to treatment incorporating cranial and structural methods, allowing him to treat the body on many levels. Martin has a keen interest in paediatric and obstetric care, which are particularly suited to gentle cranial osteopathic and massage techniques. He has a particular interest in persistent and chronic pain and is keen to introduce patients to different ways to help themselves deal with such problems. Away from work, Martin is happiest outdoors and combines his passion for travel with motorcycling and mountain biking. He can also be spotted falling off a paddleboard at a beach near you! Osteopathic training is similar to a medical degree, lasts 4-5 years and includes more than 1000 hours of training in various techniques. The British Medical Association’s guidance for GPs states that doctors can safely refer patients to Osteopaths. In addition to this Osteopaths are required by law to do further training every year. Standards for training and conduct are set by the General Osteopathic Council and all practising Osteopaths must have current registration with this Statutory Body. It is an offence for anyone to call themselves an Osteopath if they are not registered. Osteopaths are required by law to be adequately insured. Like Alan, Gemma and Martin, most Osteopaths belong to the Institute of Osteopathy. This body provides comprehensive information about Osteopathy and Osteopaths to the public, it also offers a complaints procedure. Registered Osteopaths have a similar legal status to Registered Medical Practitioners, with some exceptions. Osteopaths may issue sick certificates, order X-rays, MRI scans or other test, and write medico-legal reports for insurance purposes. They do not prescribe drugs unless appropriately qualified, though they do recommend over the counter medication and food supplements, where necessary.